The common misconception here is when an app is updated it is updated to add new features and maybe some bug fixes. 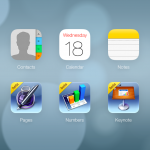 These new features may require a newer version of iOS so old users are left in the cold. The truth is a lot happens under the covers during updates, API endpoints are updated, data models changed, multiplayer protocols changed, even legal issues are addressed. For Apple’s “latest compatible version” system to work for everyone involved, Richter suggests a number of safeguards that should be put into place. These include the ability of developers to tell Apple when previous versions are no longer functional, and/or the ability to completely remove old versions of apps. He also wants developers to be able to submit different binaries for specific versions of iOS. As of now, none of this is possible. My initial take was that Apple's new feature was a win-win for everyone involved. However, I looked at the feature as an iOS user, not as a developer. Richter's words sound about right. Hopefully, he'll hear back from Apple about his reasonable suggestions. It should be noted that what makes Apple's new feature a cause for concern is the impending arrival of iOS 7 worldwide. This release, which launches tomorrow, Sept. 18, is not compatible with the original iPhone or iPad, or the iPhone 3G and iPhone 3GS. 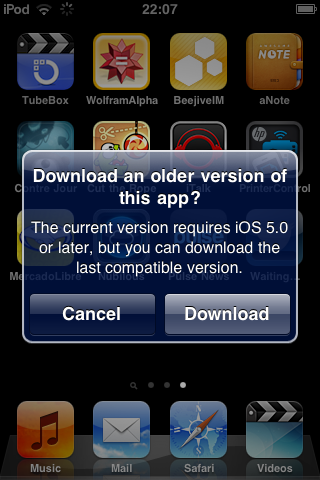 See also: One Final Look At Apple iOS 7 Compatibility Ahead Of The Public Launch On Sept. 18.